Join us for our 5 year celebration! We’ll be kicking off the 5th annual Let’s Test conference at Runö Conference Center just outside of Stockholm on May 23-25th, 2016. Click the Keynotes and Sessions & Workshop links in the left hand menu to get an idea of the workshops we’ve got planned so far for Let’s Test 2016. Or click here to download the full program (pdf). Let’s Test 2016 will takes place between May 23rd-25th 2016 at Runö Conference Center in Stockholm, Sweden. The all-inclusive price for the conference is SEK 16000 + VAT. That will give you access to the entire conference, as well as pay for all meals (breakfast, lunch, dinner and snacks in between meals) as well as give you two nights stay at the venue hotel. That’s value for money! Registrations for this event is currently closed. Are you looking for the registration page for Let’s Test South Africa, then click here. Download the program (pdf) for Let’s Test 2016! Bug triage, like labor and delivery triage, is about deciding on a course of action on the spot, often with minimal information to guide decision-making. The four basic steps of labor and delivery triage apply directly to testing-preliminary assessment, interview, exploration and observation, and taking action. In testing, preliminary assessment triggers immediate action before any bug review meetings or further testing. Interview exposes important contextual information. And, just as exploration helps medical professionals better understand a patient’s condition, software testers use exploratory testing to better understand a bug. In labor triage, taking action could involve the mother being admitted, sent home, or tested further. In software testing, bug priority decisions guide bug fix decisions. Join Rob Sabourin, a software engineer, and his wife Anne Sabourin, a nurse, to explore case studies from labor/delivery and software testing triage and learn new ways to immediately improve your testing practices. Robert is the author of I am a Bug!, the popular software testing children’s book; an adjunct professor of software engineering at McGill University; and the principle consultant (and president/janitor) of AmiBug.Com, Inc. Contact Robert at rsabourin@amibug.com. Anne pioneered telephone support for expectant parents in Quebec when she hosted Info Grossess, which was the two-year pilot project leading to the current Info Santé system in Quebec. When Anne is not working or taking care of her three teenage children, she enjoys painting, cooking, and gardening. Contact Anne at anne@theheart2heart.com. 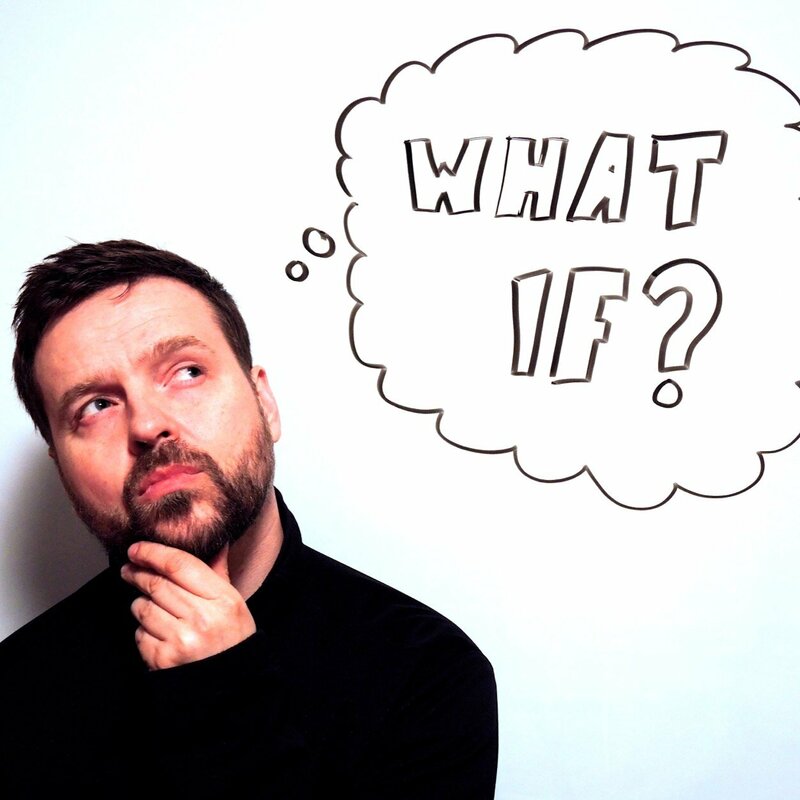 How do we draw a line in our decision making process between trained intuition and careless assumption? Sometimes, an expert medical doctor makes a dazzlingly accurate diagnosis in a complex case that baffles other physicians, yet cannot explain how she knows what ails the patient. In other cases, a doctor with similar or greater expertise might miss the diagnostic mark entirely. It’s natural and human for a skilled practitioner to make some decisions purely on instinct. We have trained our instincts through increasing experience and craft. But if we fool ourselves into believing that we can operate on instinct alone, we can lapse into a state like unconsciousness, as if we were walking in our sleep. To avoid the rigid mindset of sleepwalkers and the potentially terrible mistakes that could result, testers have to question everything. We especially have to question our own assumptions. Let’s explore some ways we can do that. Fiona Charles teaches organizations to manage their software testing risk, and IT practitioners project skills “beyond process”—hands-on practical skills essential to thrive and excel on any kind of software project. An expert test consultant and manager, she has been in the thick of the action through 30+ years of challenging projects across the business spectrum on both sides of the Atlantic. Throughout her career, Fiona has advocated, designed, implemented and taught pragmatic and humane practices to deliver software worth having. Fiona’s articles and blog posts appear frequently, and she conducts experiential workshops at international conferences, and in-house for clients. Contact Fiona via her website www.quality-intelligence.com, and follow her on twitter @FionaCCharles. Here you will find descriptions of all the sessions and workshops you can expect to encounter at Let’s Test 2016. Come join us! I want to tell you my story of a journey were anything seems possible despite low self-esteem, complex personal characteristics and previous history of difficulty learning. I intend to do this by brutal honesty, real life events and humor. This is not one of those shallow presentations about learning that tells you to start blogging. Our minds are unique and complex so the subject should be treated with that in mind and focus on the complexity. How we behave and perform as testers are deeply affected by our personal characteristics. They create limitations for how we live our lives, for the way we test and for the way we learn. To be aware of them is the first step. Understanding how they affect you as a tester is the second. Training yourself the third and breaking them the final step. My intention is to inspire. I want you to start looking for answers inside yourself rather than outside. The boundaries you will find are your own creation. I want you to leave my talk with a burning desire to break those boundaries! 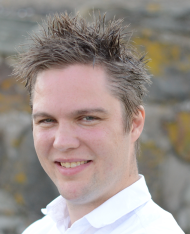 Björn is a consultant at B3IT Örebro and currently works as a software testing teacher. 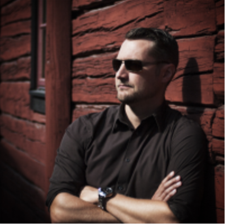 He has held presentations about learning before for local test organizations such as SAST Karlstad and SAST Örebro. You are capable of much more than you think, but it doesn’t come for free. It takes courage, practice and knowledge of various disciplines in order to reach all that you are capable of. With continued practice and training you become better at your trade, building confidence as you go. This is exactly what we want to prove throughout the workshop​. Participants will engage in activities they never thought possible, or didn’t even dream they could do! In this workshop, participants will need to cliff dive into the task, with the mindset that ‘anything is possible’ if we do more than ‘just try’. Failure is inevitable, but not permanent. We will try and try again until we succeed. More specifically these activities will show strong parallels between Crossfit and Testing.​Using physical exercise / Crossfit training as a physical metaphor to explain how you can convert your training into knowledge that can help you with your testing. We will facilitate a WOD (Workout of the Day) session in which we will show the parallels between Crossfit and testing. By exercising and gradually improving, you become stronger not just physically but mentally as well. Confidence will begin to shine from the glistening sweat on your hard-working back! In light of learning something new, we will have an intro which will be used to get comfortable with the equipment. This will be followed by a more challenging program to engage you and push them to the limit. 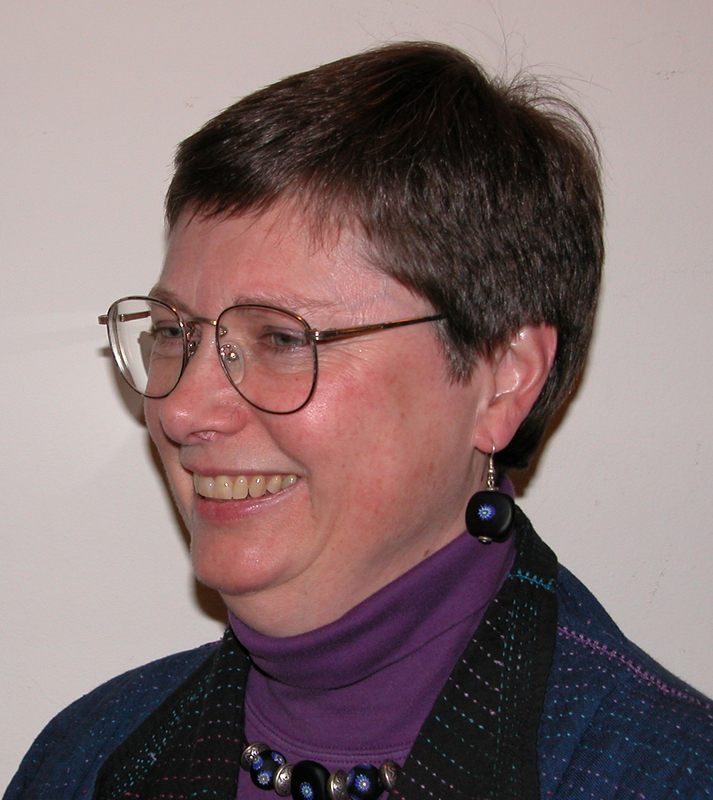 Bolette is a wonderful tester, attacking testing problems with courage, wits and a profound knowledge about testing from both practical experience and a strong theoretical basis. 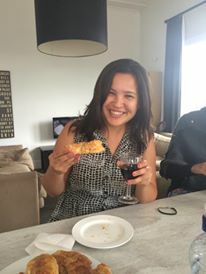 She is very likable and easily becomes a highly valued part of any team she engages with, probably because she is truly caring for her fellow human beings and put a lot of importance into being present, curious and serious – spicing up with her deeply rooted humour and contagious laughter. She simply makes up good company and spread calmness and fun. 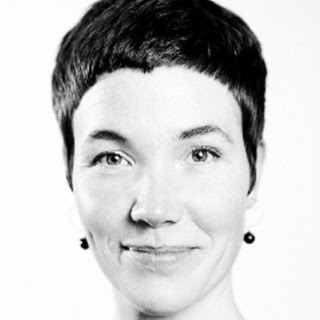 Bolette works as a consultant at House of Test in Denmark. 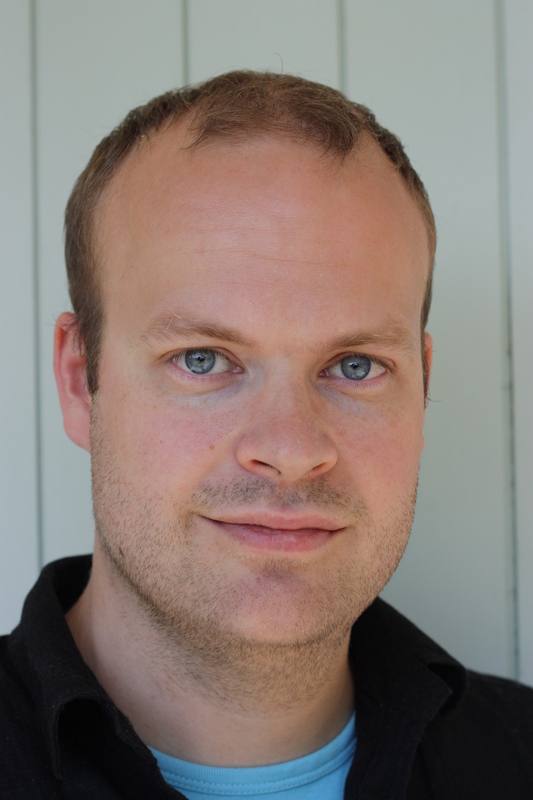 Andreas Cederholm is a member of the context-driven community and work as a consultant with House of Test. He is passionate about testing and have worked with it for more than 7 years. Time not spent on reading/writing/talking about test is spent on his other joy in life which is Crossfit. 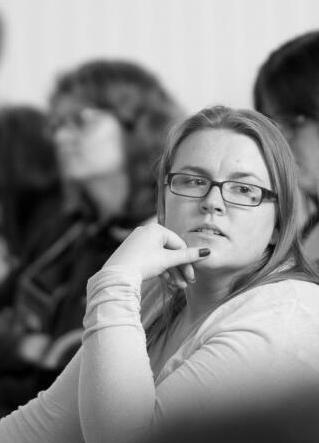 Ever heard the phrase that conferences are for conferring, but missing a place to have the actual discussions? Look no longer: honouring the old Scandinavian mythology and legacy, Yggdrasill and Mímisbrunnr will be found around Runö. Ask Yggdrasill is the tree of life, a stout tree that will survive even Ragnarok and afterwards let new life spawn from it. It’s a backbone if there ever was one. It’s roots extend widely and its base covers interestingly the well of fate, the well where the Nidhogg monster tries to defy life itself by gnawing at the very roots of Yggrasill and of course Mímisbrunnr, commonly known as Mimer’s well of wisdom. At LetsTest 2016 Mímisbrunnr is an ongoing discussion taking place in a circle of 5 chairs where anyone can take a seat to be part of the discussion, but one seat must always be free to keep the discussion vibrant and avoid someone hogs all the talking time. You are welcome to just hang around and listen, but I might invite you to take part. A facilitator will be close by to make sure it all happens in good order and noone looses their body, as Mímer himself did. Urdabrunnr, the well of fate – where are we going, how are we going to get there? Hvergelmir, the “roaring kettle”, where Nidhogg resides – what are the enemies of testing, what will bring testing down – what threatens us and our craft? I might stop you anywhere at the conference, and ask you such questions – and even invite you to ignite a discussion. I might also invite speakers in to further investigate subjects they feel passionate about. And everyone is welcome to take part. As long as one seat is free we all have an opportunity to step in. This is where we go deep. So stand up for what you believe in, show up and let’s dwell on each others wisdom. Some of the collected wisdom will be distributed on twitter – follow @LTmimirsbrunnr to get updates of both subjects kicking off and the conclusions and wise remarks being uttered. But remember, to get it all you have to be there. 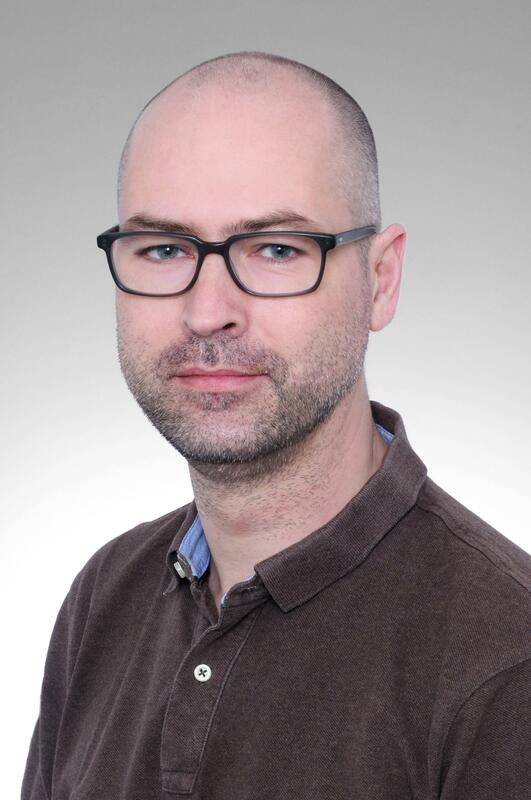 Carsten Feilberg has been testing and managing testing for more than 13 years, working on various projects covering the fields of insurance, pensions, public administration, retail and other back office systems as well as a couple of websites. With more than 19 years as a consultant in IT his experience ranges from one-person do-it-all projects to being delivery and test manager on a 70+ system migration project involving almost 100 persons. 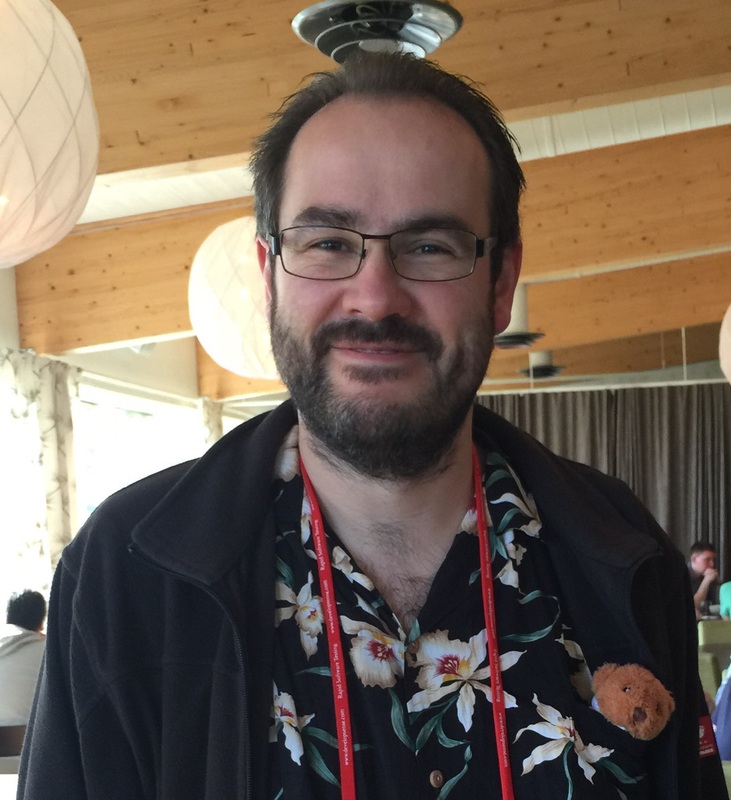 He is also a well known blogger and presenter on conferences and a strong advocate for context-driven testing. 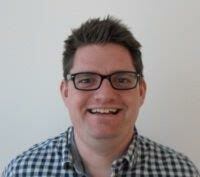 He is living and working in Denmark as a consultant at the danish branch of swedish based House of Test. This presentation will examine context-driven testing adoption from the point of view of an organization which has big hopes for how it can transform their software development process. While the benefits used to promote CDT are well known, what organizations might privately desire from this change are less well known. Based on experience reports of such transitions, the presentation will offer a view into what stakeholders throughout software teams hope to gain, but might not tell a coach or consultant. Task analysis can help testers understand what testing is and what testers really do. What is testing? Can we break it down into work elements or tasks requiring specific skills which can be taught, demonstrated, and improved? What skills does your team need to implement excellent testing? Task analysis can help us understand which methods to encourage, which to improve, and which to discourage. Task analysis can help us learn what teams do and the real contributions of individual testers. Rob Sabourin and Chris Blain share their experiences applying task analysis using the critical incident method to better understand processes and determine needs and desired solutions. Examples demonstrate how task analysis has been used to capture critical testing activities and the skills required to succeed. The critical incident task analysis method is a fast and systematic way to study how people get things done. The method has been used in identifying the strengths and weakness of applied context driven testing in several organizations. From brilliant successes and dismal failures we learn to identify and understand the testing process. Delegates will have a chance to implement the critical incident task analysis approach through a series of group activities. Results will be compared and contrasted between teams and then Rob and Chris will share their own “teachers edition” responses. Quality is sometimes hard to get a grip on. Where are we, what have we done, can I feel confident using what we have produced? These and many more are typical questions asked daily in software development. Qlik had the same problem answering these, with thousands of automated checks, tiers of manual testing and many stakeholders we needed to do something. Thus we introduced the Metal Level concept. The concept is build promotion overlaid with an analogy that anyone can understand, metals and their value. As more activities against a software build are successful, the more precious the metal tag the software build is given, going from Tin to Iron to Silver. For each metal tag each stakeholder knows the expected frequency for reaching that level, which activities were conducted, the target consumer and the appropriate feedback channel. Finally, when the software doesn’t make its intended Metal Level, we stop the shop and figure out why! With the Metal Levels it’s easy to communicate status and align expectations. 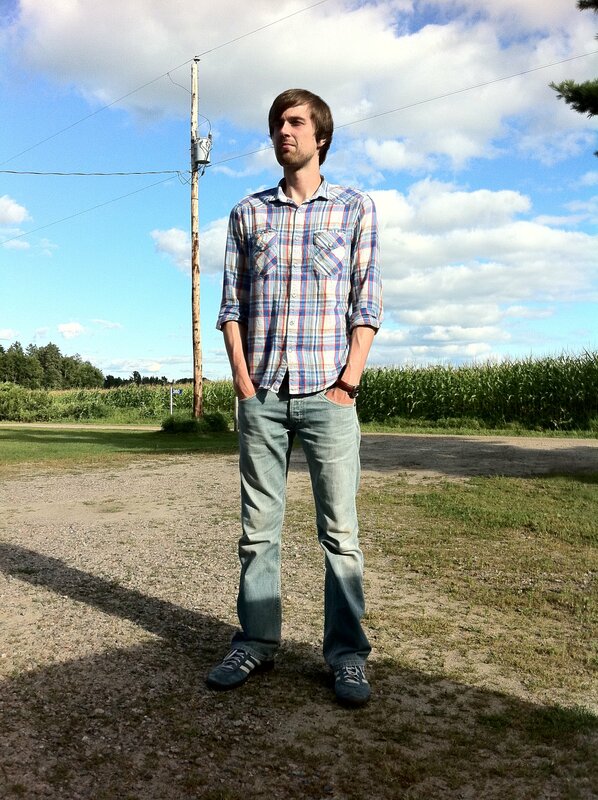 Christopher Lebond is a Software Architect who has spent most of his career focusing on Quality. Originally from England, Christopher’s career began in contracted web development based on SQL and ASP. After moving to Sweden in the mid 2000’s, Christopher started working for Qlik Technologies in the Quality Assurance department focusing on testing, methodologies and improvements. After many years of formal and informal leadership positions, always with Quality as a focus, Christopher is now working with requirements and release and quality work of Qlik’s product portfolio. Damian Synadinos started testing software—on purpose and for money—in 1993. Since then, he has helped build better software and build software better using various methods and tools in numerous roles at many companies in diverse industries. 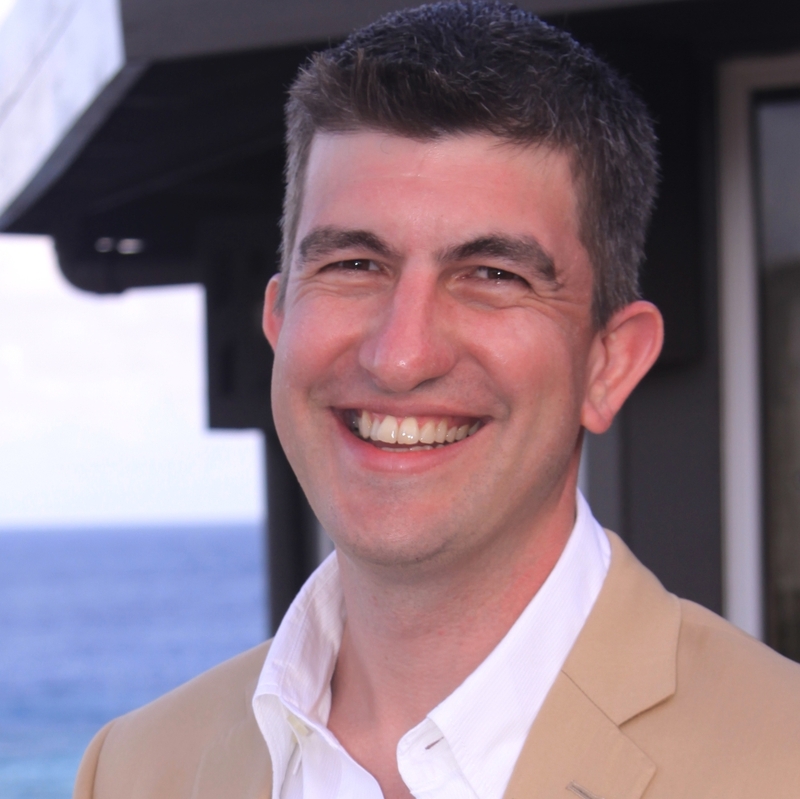 During the past ten years, Damian has focused primarily on teaching and leading testers and improving processes. Currently, he is the enterprise quality lead of metrics and reporting at a large Midwestern bank, helping to answer questions and tell stories about quality with data. In addition to testing, Damian enjoys improv, golf, poker, gaming, acting, cartooning, and spending time with his family. Using a library of Yoga poses, I’ll lead a Yoga practice session targeted at many of the physical strains of a testing job. Each pose will be debriefed by explaining the targeted benefits and then extended by providing an example of a tester quality to be focused on and enhanced. This workshop will take place outside if weather permits. 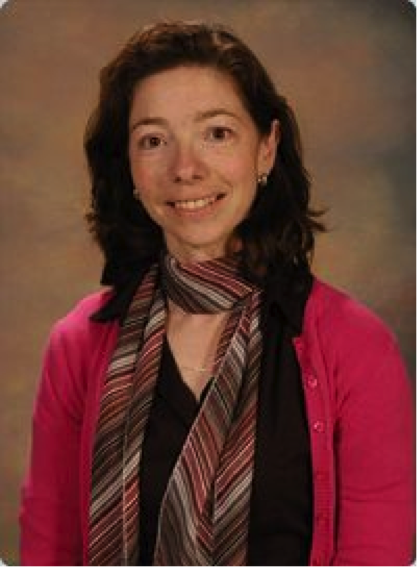 Dawn Haynes is a Principal Trainer and Testing Consultant for PerfTestPlus. Dawn has more than 29 years of experience supporting, administering, developing and testing software and hardware systems, from small business operations to large corporate enterprises in the high-tech, insurance and healthcare industries. As a highly regarded trainer of software testers, Dawn blends experience with a practical perspective to provide testers of all levels with inspiration and ideas to help them generate new approaches to common and complex software testing problems. Dawn was highlighted as a woman of influence in Software Test and Performance magazine in January 2010, and was honored to share her philosophy of testing with 12 other outstanding international woman in the field. Dawn shares her insights at testing conferences and with testing communities worldwide, and looks forward to collaborating with you in the future, somewhere in Testerland. Does this sound like something you’d like to test? Join Dawn who is an experienced Reiki practitioner for session of curiosity, experimentation and learning and test something other than software for a while. Security is and will continue to be a big problem for technologists, and of course testers. Systems and software are complex. They are designed and built by flawed individuals and teams. They may be insecure from the start, either through a lack of knowledge of how to test for security; or even through willful neglect and bad work. This workshop will explore how social engineering can be used to look at how easy it is to breach systems, through learning, observing, listening, manipulation and gamification! We’ll gather data from our environment, the people around us, files, images, sounds and other sources in order to gain access to our target! Considering the work of notable social engineers such as Kevin Mitnick, Christopher Hadnagy and others, attendees will attempt to capture the Let’s Test Flag! I think it could be an awesome opportunity to think beyond the technical aspects and deeply at the security flaws in human beings. Let’s see how many potential hackers, con­artists, actors, artists, psychologists and master manipulators we have at Let’s Test! 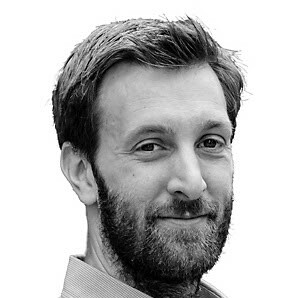 Dan​ has been a tester for 15 years, working within a diverse range of development organisations, mostly in the south west of England. He currently works as a test engineer at New Voice Media, where most of his time is spent working on the security testing needs of the business. This includes mentoring, supporting and training members of the team to use these skills also. Dan’s love of testing drives me to become an active member of the testing community, helping to organise local tester meetups in the Bristol and Bath area. He is also a co­facilitator with Weekend Testing Europe, and also organises the South West Exploratory Workshop in Testing. Have you ever designed a board game? Would you like to try? A few years ago, Fiona Charles and Michael Bolton created a software development board game called Geeks and Adders, and then presented it successfully in a workshop at the AYE conference in Phoenix, Arizona. Three tables played it, and had lots of good things to say about it. That game needs a little work to bring it up-to-date. But from a tester’s point of view, what it really needs is a companion game for developing a test strategy! Join with Fiona in this mob design workshop, and have fun together exploring what it takes to develop a playable and enjoyable game. All of the workshop participants will share the credit for anything good that results! Fiona Charles is the co-founder (with Anne-Marie Charrett), of Speak Easy, a volunteer organization whose goal is to increase gender diversity and help new speakers find their voices at tech conferences. As a consultant, Fiona teaches organizations to manage their software testing risk, and IT practitioners project skills “beyond process”—hands-on practical skills essential to thrive and excel on any kind of software project. As an expert test consultant and manager, she has been immersed in the action through 30+ years of challenging projects across the business spectrum on both sides of the Atlantic. Throughout her career, Fiona has advocated, designed, implemented and taught pragmatic and humane practices to deliver software worth having. Fiona’s articles and blog posts appear frequently, and she conducts experiential workshops at international conferences, and in-house for clients. Contact Fiona via her website www.quality-intelligence.com, and follow her on twitter @FionaCCharles. If you’re thinking about becoming a testing consultant, or believe you might want to go in that direction at some point, this session will show you a possible path and can help you decide if it’s the right path for you. Although we’d like to be able to say “yes”, there are times when saying “no” serves our projects, our teammates and our stakeholders best. Testers can be subject to many conflicting or unreasonable demands. A manager may insist we work on several projects simultaneously, making it impossible for us to do good work on any of them. There may be enormous pressure to work long hours, which will jeopardize our health and the quality of our testing. Sometimes we’re expected to commit to something that we don’t know how to do. We can even find ourselves pressured to misrepresent our findings about the quality of the software. Paradoxically, learning to say a good “no” enhances our ability to say a meaningful “yes”. If we can say “no” appropriately to demands we know to be wrong for us or for the project, then we can also say “yes” with whole-hearted commitment. Saying “no” is not easy for anyone, but it is a skill that we can learn. This half-day tutorial will consist primarily of experiential exercises and debriefs—as many as we have time for. Some volunteer participants will get to practice saying “no” to unreasonable demands. Everyone will have opportunities to observe the interactions, ask questions, discuss, and draw their own conclusions. This session is intended for testing practitioners and managers at all levels of experience. Obviously, we test after the code has been written. However, specifying requirements using tests, before the code is written has some advantages. Developers use Test Driven Development for better code, design and focus. There’s no reason why testers won’t use that method as well. Test-First is a great tool. It creates better understanding and productivity in the team. The result is a high quality product- both in terms of success in finding bugs early and implementing features correctly. It just takes a little practice. In this workshop, we’ll create our own Star Wars movie using Test First principles. We’ll start from requirements, identify pass/fail criteria, create the movie and refactor it. On the way, we’ll discuss what we’re doing, refine our specs, as well as see what changes in the design tell us. No need to know how to code. Star Wars knowledge is preferable. The key thing is to understand better how the other side lives. Neither of us is on the Dark Side. Gil Zilberfeld has been in software since childhood, writing BASIC programs on his trusty Sinclair ZX81. With more than twenty years of developing commercial software, he has vast experience in software methodology and practices. Gil is a lean consultant, applying agile principles for more than a decade. From automated testing to exploratory testing, design practices to team collaboration, scrum to kanban, and lean startup methods – he’s done it all. He is still learning from his successes and failures. Gil speaks frequently in international conferences about unit testing, TDD, agile practices and communication. 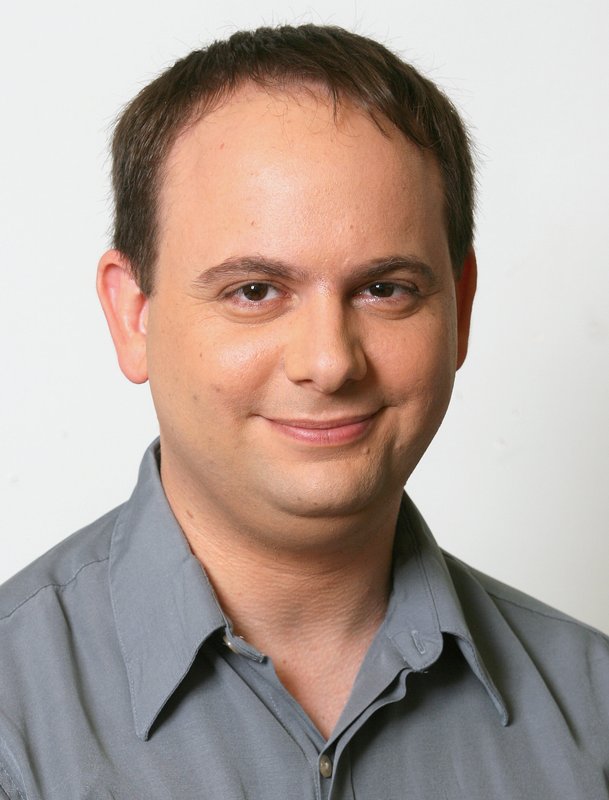 He is the author of “Everyday Unit Testing“, blogs at http://www.gilzilberfeld.com and in his spare time he shoots zombies, for fun. In the disembarrassment inducing atmosphere of a hurtfully nostalgic classroom with cheesy background music while resting your bum on splinter-friendly chairs, you will have the chance to meet people with similar interests find your testing soulmate through the First Testers’ Speed Dating event at Let’s Test! Through the strict and polished process of time boxed conversation and a whirlwind of rotating people, we will attempt to achieve high coverage of potential testing soulmate candidates for each participant. There will be Speed Dating Cards that can be trusted not to go blank when your mind does, so you can come up with questions such as “What testing topic makes you burn inside?” and “What is the longest mnemonic you know?”. The facilitators of the workshop will facilitate laughter and fun and enjoyment of the process. In all seriousness, though, finding a good professional peer in crime in your testing ventures who you can trust, lean on, debate with, and learn from can have an immeasurable impact on the progress of both of you. Think of it as setting up a special personalized study program between two people who will continue tailoring it for the changing needs and goals. The most serious and significant part will be the reflection on the Speed Dating experience (unless everyone paired up and eloped by this time). We will seek answers to how to have good and deep discussions with your peers, how long could it actually take to develop a great professional partnership, what are the elements and steps to build such a relationship, and what are the true benefits. The facilitators will most humbly share their experiences on this topic and their lessons learned as they have developed their own form of professional peer relationship. To her own great surprise, Helena Jeret-Mäe became passionate about software testing after stumbling into it via technical writing. She studied and experimented with testing to become a software tester while building, mentoring, and leading a testing and documentation team. 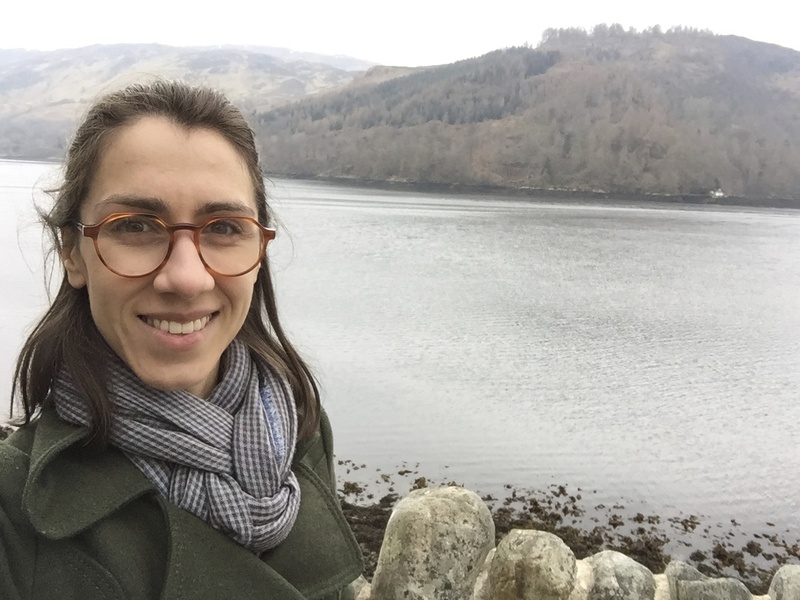 In addition to testing, Helena learned a lot about managing and leading, and believes that facilitating and enabling other people to do their best job is one of the most rewarding and also most difficult thing to do. Helena loves to be part of the testing community because of the countless learning opportunities, so she can be found discussing testing in a pub with some testers, at testing conferences, or reading and writing about testing in the corner of her favourite café. She is currently Head of Testing at Nortal where she tries to figure out how to help testers do their best possible job. Helena tweets as @HelenaJ_M and blogs at thepainandgainofedwardbear.wordpress.com. For almost three years, Helena and Erik have once a week met for a coaching and self-education activity they call Transpection Tuesday. In this session they will talk about the coaching aspect of these sessions focused on the common roles they use such as “the psychiatrist” or “the undercover boss” and you will also get a chance to try some of these out for yourself. The purpose is to show how coaching can be made less formal and less stressful to both parties, how these coaching strategies can be applied in a wide variety of everyday job situations as well as arm you with practical, useful archetypes to play around with when coaching/being coached. We start by being relaxed and we select a couple of topics that we want to debate deeper. We will have a short discussion. The group will form ideas of some testing stories that need deeper inspection. Smaller groups of two or three form all by themselves. Then we head off for a walk. In the smaller groups we will keep our feet moving in the direction they choose and at the same time we will engage in deep discussions. We want to explore the power of the peripatetic school of thought. Let us explore if there really is a connection between mind and body. When we are ready, we slowly find our path back to the Runö center. But we are not finished yet. Water gently poured on the hot stones in the sauna radiates steam. It is called löyly. Löyly is semantically rich with everything Finnish. Sauna keeps people honest and humble. Finland is probably the only country where people go into the sauna to do business meetings and negotiations. There are no expensive suits to trick other people into being impressed. What you say is what is important and you better be good at it. Being engaged in hard thinking metaphorically radiates steam from our reflecting selves. It is the intellectual equivalent to löyly. What better place than the sauna to combine both. After the sauna each group will present their insights. We end the event with a retrospection session on the overall experience. 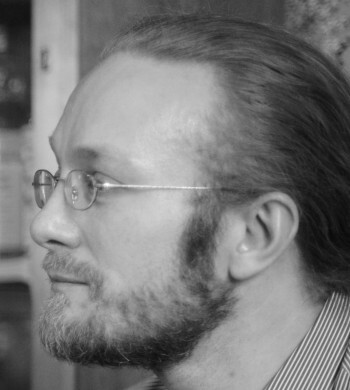 Ilari Henrik Aegerter’s formal studies have brought him from General Linguistics and Sociology to Software Engineering and Software Testing. He has 10+ years of experience in the field, coming from the medical software domain at Phonak AG and progressing to e-commerce at eBay. He is now the Managing Director of the Zurich branch of House of Test and he believes that there is still a lot of work to be done for excellent software testing. In 2013 he co-founded the International Society for Software Testing (ISST), which advocates for bringing back common sense to testing. He is currently president of the organization. In 2015 he was elected into the board of the Association for Software Testing (AST) where he acts as Executive at Large. Delivering working software is about thinking and solving problems. There is no magic button we can push to make our brains work more effectively, but what if there was a technique that we could use to amplify our problem solving abilities? Solving problems is best done by considering a number of different perspectives. However, simultaneously seeing things from unique angles does not come naturally to people. In this workshop, Oz and Janco will immerse attendees in a practical mobbing session, demonstrating the effectiveness of problem solving through different views. Attendees will get to experience the power of collective thinking and reasoning, and how mob programming with testers and developers can result in creative solutions. Originally from Zimbabwe, with working experience in a few African countries, Oz currently works as a software tester in Johannesburg, South Africa. He believes thinking is his strongest skill in his bag of many and varied tricks. With over 15 years of experience, mainly in financial systems, he is focused on solving the right problems, the right way. 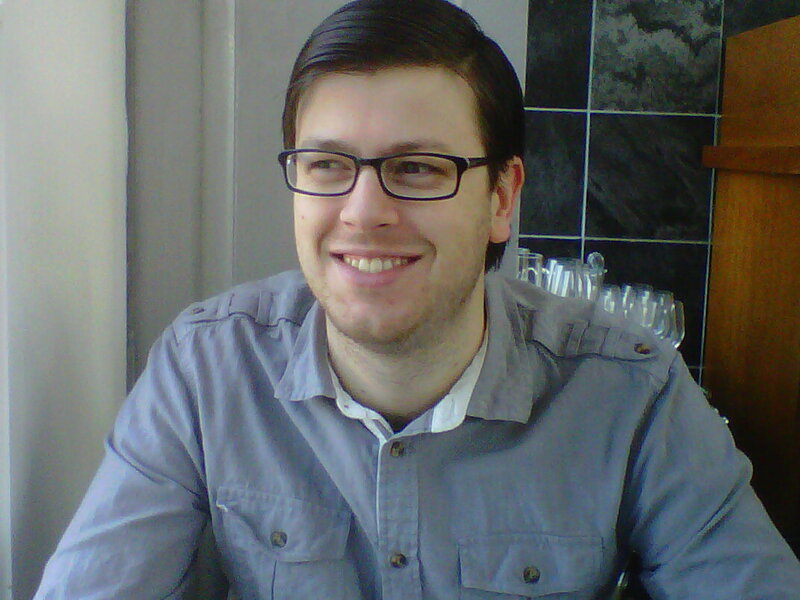 A co-organiser of the Joburg Software Testers meetup, Oz loves to interact, learn and grow with the community. He enjoys a good coffee, especially with developers and other non testers alike. Janco has spent nearly two decades learning how NOT to build software. He likes to understand the driving principles behind the way teams think, work, and deliver software. Through technical workshops, code retreats, and other community events, he works to help raise the level of craftsmanship in the software development community. This workshop will make attendees aware of Flow as a concept, and how functional silos are preventing the flow of work through the system (usually organisational), blocking value from being realised. Please bring own computer (or pair up with a friend) to take full advantage of this workshop! Vim is a powerful text editor. For testers that deal with data, being able to confidently wield a powerful text editing tool can be an incredible productivity boost. This session will focus on how to manipulate text into various forms of usable data quickly and easily using Vim. I began my career in QA/Testing leadership alone at night in one room with seven temporary employee testers and no experience between us. Testing was in a bad place relative to upper management, and my lessons were learned rapidly and stressfully. I started in a deep hole, and learned through many trials and failures. I emerged with a few core bits of wisdom I applied thereafter. We began that phase and the next in our team history with preconceptions to overcome, and changes in my management style helped achieve success after failure, and help the team realize potential I had never thought possible. We used to be ignored and met with bad attitudes. Now we enjoy great business relationships and have to turn away customers. I traded my dictatorial grip for a diplomat’s role enabling and opening doors for my team instead of micromanaging it to death. I have been working in software testing and quality assurance since 1996. I took a testing management role in 1997 and have been in testing leadership ever since. I love it, and I am passionate about my teams and hope to one day live up to their expectations and deserve the credit and respect I receive. “It’s not what we know that gets us into trouble, it’s what we know that just ain’t so.” Attributed to Mark Twain. So how can we start to look for the unknowns and discover the learning? How can we be more deliberate about our discovery and our solutions to problems? What are some paths to experimentation for uncovering our ignorance and our unconscious assumptions? This workshop will explore methods of looking at what you don’t know and what you assume to be true. We will start to look at ways in which we can be more deliberate about the things that we discover and how our assumptions and lack of knowledge about something affect our thinking. Joanne has worked in the software industry since 2003 in roles ranging from product management to writing functions and creating business intelligence. In 2009 she went on her first Scrum course and discovered the world of Agile and a different approach to developing software. Since then she has worked with teams and organisations to transform and improve the way they work. Through these interactions she has worked with many contexts and different ways to apply Agile principles. 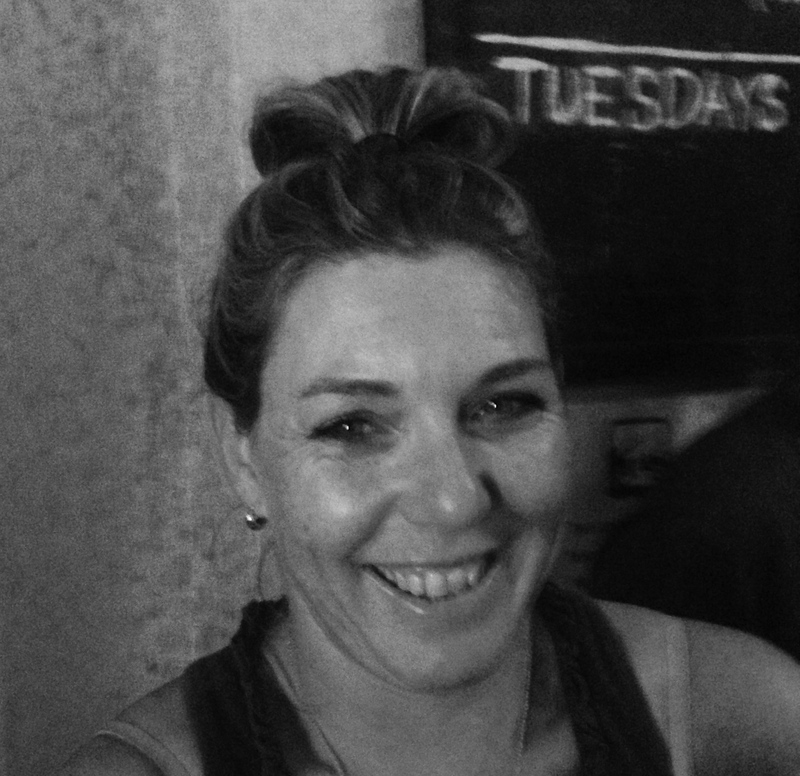 Joanne is passionate about learning and growing both herself and her teams. This curiosity led her to the AYE (Amplify your Effectiveness) conference the PSL (Problem Solving Leadership) course with Jerry Weinberg, and Dave Snowden’s Cynefin training. Attending these conferences and courses not only connected her to the international community, but helped her to grow as a coach, a leader, a mentor, a problem solver and a critical thinker. In 2014 she spoke at Let’s Test Australia with Carsten Feilberg and in 2015 at Let’s Test Sweden with Martin Hynie. Join the Perold sisters for a light-hearted workshop on Testing, Wine and Food, and how they relate to each other. Pretending, playing, LARPing and testing The tradition of LARPing goes back to roleplaying games such as Dungeons and Dragons, where a player takes on the role of a character in an imaginary gameworld governed by different rules. In LARP an extra dimension is added to the game, as the players dress up as their roles and act out their actions physically instead of recounting them to the other players in an oral narrative. LARP has matured since the first incarnation, and is no longer just about dressing up and hitting other participants with cardboard swords. LARP can be sophisticated events where the players take part in politics, scheming, drama and experiences that they never would encounter in real life. In the last decade, a lot of events for adults have started appearing, where elements of LARPing and play are taken in a more “professional” direction, such as teambuilding events for a department in a company. How does this pair with testing? The discipline of testing is in itself a playful thing. As testers we experiment and have a certain playful attitude towards our tasks. We are part of projects with many other players, and we usually have a certain “role” that we are either put in, or step into voluntarily. I would like to host a workshop where the participants get to experience several smaller LARP sessions with various narratives and rules. Through the short sessions the participants will be presented with different mechanisms, and experience them physically, in person. The participants will through this become aware of when and how these mechanisms take place, both as obvious mechanisms in the safe gameworld, but also as more subtle mechanism in real life. They will also learn about how and why they can use these mechanisms to e.g. bond with other people that have also been a part of the experience, or try out radically different roles than what they are used to. I started out my testing career 2½ years ago, after finishing University. And even though the idea of testing really appealed to me, I quickly grew bored of the more corporate side of testing. About a year ago I was presented to “the other side” of testing, that does not necessarily involve ISTQB standards, and I wholeheartedly love it. I’m thrilled that there is an area in testing where people are passionate about doing and learning instead of “just working”, and where there is room for new theories and most important of all.. to play and experiment. 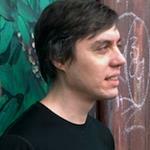 I have a background in (computer) game studies, and the theories I will be using for this workshop are taken from personal experiences from being an avid adult LARPer, as well as a larger study I did on teambuilding and roleplaying during my studies. 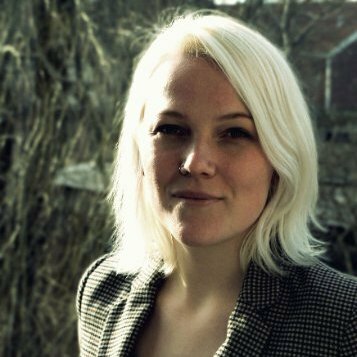 Katrine works as a consultant at House of Test in Denmark. Getting teams right is always tricky. Finding the right cultural fit, personalities, skill set – can seem impossible. In this workshop we will dive into the chaos of self organizing teams. What does it feels like, compared to ‘role based teams with team-lead’? Does the performance suffer (in the beginning)? What about company processes and project specifics? What does it take from the members to support the team? We will go out into the wilderness of Runö and put two different teams to the test. You’ll experience difficult exercises, random events, slippery slopes, helping hands and safety instruction. After drying off we’ll collect the observations, stories and analyze what it means to be in a team. PS. You might get wet. Automated checks are critical component of continues delivery, by definition. But is this really true? We will venture into to uncharted waters and setup our own process of testing focusing on automation or exploration. Teams will be lead by world-class testers (Huib and Richard). Participants have the chance to try out their skills working along said team-leads. Get experience in tools, exploration methods, and let their imagination fly while trying to one-up the other team in satisfying the stakeholders. Glory to the victorious. In the end we’ll figure out how complicated it actually is to find the right balance of using automation in their projects. You’ve been assigned the task, by your employer (who is in no way a super-villain) to evaluate a newly developed concept in line with the company’s CSR policies: a renewable weapon, the potato-gun! Your team consists of super testers from around the world, but due to some recent budget cuts, your resources are very limited. And the chain of command is changing faster than you can explain. What’s up with that, and how does it affect your planning? How do you start testing a new product under uncertain circumstances and with new colleagues? Join us for a few hours of exploring, strategizing and occational target practice. Lars has been in research and development since 2001. He’s technically curious and sees himself as an investigative cartographer of systems, but in recent years he’s also developed a fascination for how communication, group psychology and problem framing influences how anything gets done (or doesn’t). He’s a strong proponent for the context-driven approach to testing, and has experience from both waterfall and agile projects in a variety of roles. In his spare time he enjoys tinkering with Arduinos and launching high powered rockets. He works as a consultant for House of Test. Based on the ideas of Nancy Kline in her book “Time to Think – Listening to ignite the human mind”, I would like us to explore the concepts and practices behind creating and being in a ‘Thinking environment’. We will look at the various conditions under which human beings can think for themselves with rigour, imagination, courage and grace; and through practical exercises see how we can apply this in our working environments. Understanding and testing RESTful Web services is an interactive workshop that guides participants through the fundamentals of what makes a Web service RESTful and how to build requests to query and manipulate data from a web service. The attendees will learn key skills through testing a bespoke web service, learning how the service and requests work, and discovering and reporting bugs. What is a Web service and what makes it RESTful? Every year, Let’s Test gathers some of the world’s greatest software testers together for three full days of incredible talks and workshops, but only a handful of attendees get to take the stage. There is so much knowledge and wisdom at the conference that needs to be shared. The software testing community is always looking for fresh ideas, and new creative concepts that help evolve our craft. So… how do you move from attending one of the coolest conferences in the world to speaking at one of the coolest conferences in the world? If you have not nervously scrolled down to the next track, this session might be for you. For the last few years, Richard and Martin have had the pleasure of participating in many rounds of conference proposal reviews in conferences around the world. While there are always excellent proposals that do not quite make the cut, the “stand out” descriptions get noticed almost immediately. What makes them so appealing? Why do they seem to have unanimous support across the entire selection committee? What makes them so damn good? An excellent start towards creating excellent conference proposals that truly reflect who you are and the message you intend to share with the world. 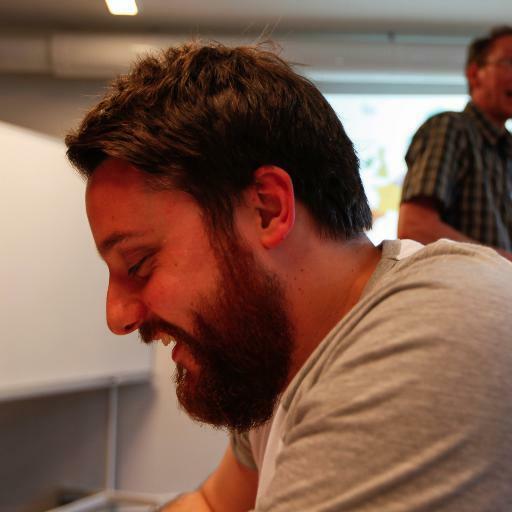 Richard is a friendly tester with a real passion for testing. 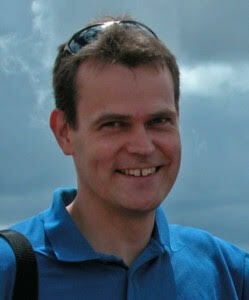 He is very active in the testing community and has hosted many meetups throughout the UK. 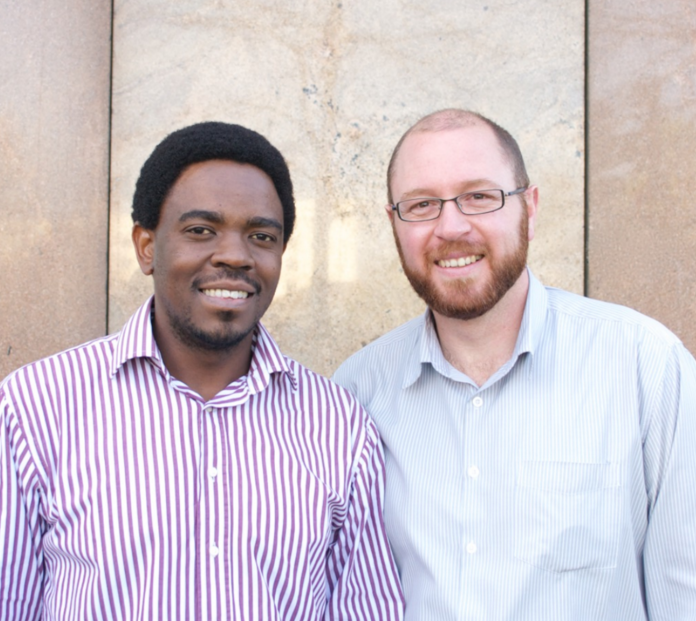 Richard is also a founding member and co-organiser of the Midlands Exploratory Workshop on Testing (#MEWT). Richard is currently working as an Independent Tester after having set up Friendly Testing Limited in 2014. He has been testing for over 8 years now. Richard is a big advocate of automation, but not the silver bullet type, the type that really supports testing and testers. He is very technically minded and encourages the use of tools. He considers himself a student of testing and is always looking for new ideas and inspiration to improve his testing skills. With over fifteen years of specialization in software testing and development, Martin Hynie’s attention has gradually focused on emphasizing value through communication, team development, organizational learning and the significant role that testers can play to help enable these. A self-confessed conference junkie, Martin travels the world incorporating ideas introduced by various sources of inspiration (including context-driven testing, the Satir Model, Pragmatic Marketing, trading zones, agile principles, and Christensen’s Job-To-Be-Done and progressive movement training) to help teams iteratively learn, to embrace failures as opportunities and to simply enjoy working together. Follow Martin on Twitter @vds4 or visit his blog http://developersbestfriend.com. This may be true, but what could we learn for our context if we take a look at a simple process like breakfast? Everything we do is a process of some sort. But how good are we at describing what we are doing? How much of our knowledge is tacit, especially when we are doing a task over and over again? The ability to describe a process or create a process model comes in handy in various situations. At times when you need to explain your actions to someone, write a test script or instructions, or you need to define a process model for test planning, execution and other tasks in your team or company. With some fun and breakfast-related exercises and facilitated debriefings after each exercise, we will stepwise improve the ability to describe processes with and without words, and create an environment for group-based process modelling. Based on those prerequisites the participants will then encounter the last task, to describe a testing related bread-and-butter process that will make them aware of difficulties, when the process to model gets too complex to simplify. Depending on the audience, the debriefing of the last task might turn into discussions regarding ISO29119. What I try to show as a side effect is that a standard like ISO29119 cannot just fit for any testing context. In the end we know why “Context eats Process for Breakfast” and hopefully see the necessity to describe processes for our own context. After 3 years of vocational training as developer and several projects I was transferred to the test factory of my company, in one of our prestigious testing projects with 60-90 people and national awareness, especially in the beginning. 9,5 years later, after having had all roles from test specialist, team lead to test manager and successfully taking care of many applications, sub-projects and releases, I left my company to take a step back (or forward) to hands-on testing on a smaller scale again. I now work for Detroit based company called Urban Science, in the office in Munich, Germany – my home town. As a test lead for a small team, responsible for two products, I am back to hands-on testing again. I enjoy trying out new approaches, improve my testing skills, coach the team, and implement automation in testing for the first time of the products life span and my own. After exploring those and other related topics, we’ll see if we can come to a consensus about whether or not the people who say things like “Shut up already with the elitist “It Depends” tester rhetoric crap! The rest of us don’t really care *how* you do it, just go earn/save us some money!” have a valid point. Scott Barber, Chief Technologist of PerfTestPlus and former Product Owner for SmartBear load testing tools, is widely regarded as a thought-leader in the delivery of performant systems using modern Agile & DevOps principles, but is probably best known as an ‘energetic and entertaining’ speaker and author of articles and books; Performance Testing Guidance for Web Applications, Beautiful Testing, How to Reduce the Cost of Testing & Web Load Testing for Dummies). His 20+ years of experience filling a wide range of technical, managerial, and executive IT related positions have culminated in a passion for writing, speaking, coaching and activism focused on improving the alignment of development practices with executive business goals. 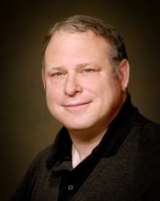 Scott Co-Founded WOPR, served as a Director of AST and CMG, is a member of PMI, ACM, IEEE, American MENSA, ISST, the Context-Driven School of Software Testing, and is a signatory to the Manifesto for Agile Software Development. For several years now I have been leading highly technical and primarily programming focused testers. I have fostered their professional development while accomplishing the goals of the team and fulfilling the needs of the organizations we have served. I have a secret though – I am not a programmer. While I have written “hello world” in several different languages, I don’t enjoy or excel at software programming. And I don’t have a technical degree. However, in much of my work I have been called on to aid in technical discussions. Everything from assisting in decisions on which language should be used for an automation framework to coaching testers to improve their SQL skills to helping the development team adopt better API development practices. This experience report focuses on technical leadership by a non-programmer. I’ll share some of the strategies I have found successful in being a technical leader and helping others develop their own technical skills. Rob has been helping people and teams test software in a rapid and cognitive manner for over a decade. As a coach and leader, Rob focuses on mentorship and enabling testers to succeed. With a strong foundation in the context driven school of testing Rob has had experience in a wide variety of domains – including healthcare, mobile, education and municipal. 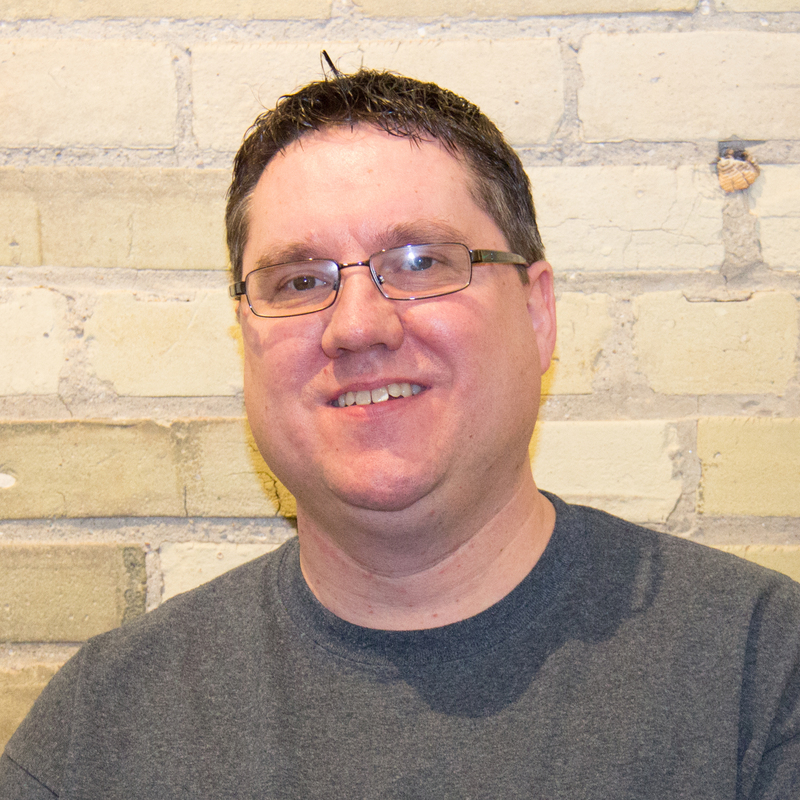 In his own back yard – Waterloo, Ontario in Canada, Rob maintains a stewardship role in his local software quality association (Kitchener/Waterloo Software Quality Assurance or KWSQA). Rob initiated a regional testing conference – which has been running successfully for 8 years. When not focusing on one-on-one mentorship with local testers, Rob runs an event called The KWSQA Testing Games – where testers get together to test the software of a local tech start-up in a social environment. In his current role, Rob not only leads a team of testers, he assists his organization in its Agile transition. An interactive game for testers, where they have to solve problems, interact with management, deal with scope creep, project pitfalls, and coping with global market changes. We will create role play and problem solving scenarios for the the attendees, where they have to meet their business and testing objectives, and present them to the management. Attendees will be split into smaller groups, and will be given a different scenarios, personnel, skill sets and attributes which they can use to solve their problems. The attendees will need to handle scenarios with issues such as constrained budgets, staffing and management issues, resources and tools as well as the varying needs of their customers. Dan and Patrick will entertain and delight, throwing in curve balls and crazy situations for the teams to deal with. Ultimately, the teams will need to come up with some wild ideas to get themselves out of a sticky situation. It’ll be fun, challenging and very rewarding (in chocolate). 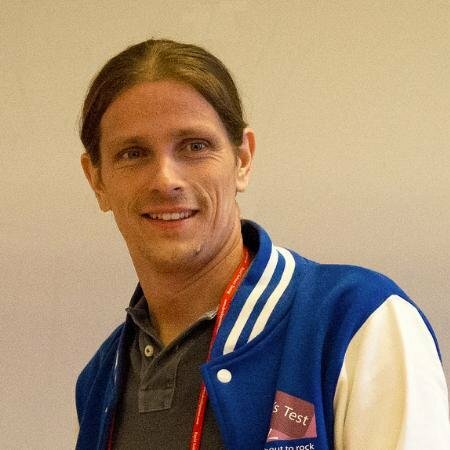 Dan’s love of testing drives me to become an active member of the testing community, helping to organise local tester meetups in the Bristol and Bath area. He is also a co-­facilitator with Weekend Testing Europe, and also organises the South West Exploratory Workshop in Testing. Come join us and get into your Zone!! In this session we will play a newly created board game aimed for testers. Come join us for some fun playtime and test your thinking skills at the same time. Do you think Arduinos look cool? Ever wondered what they are capable of if you throw some Python into the mix? Come join us for a fun tinkering session where we’ll teach you to combine the two. Do you have questions to ask or experiences to share on the topic of training and mentoring testers? Megan and Damian both have extensive experience in the area and will host a Lean Coffee session for anyone who’s interested where you will all decide together what aspects of this massive topic to discuss and workshop around. Megan Studzenski is a Departmental Trainer in Hyland Software’s Quality Assurance department, which is an official way of saying she teaches people to be better testers. She is responsible for teaching introductory testing skills to new employees, as well as devising testing workshops and experiences for more skilled testers. Megan spent two years as a technical writer before transitioning to testing, and from there her love of public speaking led her into her current training role. She broke into conference speaking at CAST 2015 with a successful no-slides talk about how she does her job, and her pet project is advancing exploratory testing in a work environment driven primarily by bug reports. She occasionally tweets about testing, baseball, cats, and Star Wars at @TinyTesterTalks. In my talk I want to discuss why you should pick your battles and some questions you can ask yourself which will help you decide which bugs are worth fighting for. When I started my first ever project, my understanding was that the purpose of testing was to provide information with more emphasis placed on advocating for the fixing of bugs. The thing is – I took this too far. Part of me relished raising bugs in the Test Tool and assigning a severity and priority. The sad thing is, I thought I was a better tester when I raised bugs with a higher severity and priority. Unfortunately, this led to a “boy who cried wolf” situation. I found it more difficult to get my bugs fixed partially because of the fact I placed too much importance on bugs that didn’t actually matter (and partially because of factors out of my control). Since then I have learned my lesson. I have learned that my opinion is one of many and that my role is to provide information about the state of the software – not to be a gatekeeper of some sorts. While I am less transfixed on fighting for each and every single bug, I’m learning to earn respect from previous teams and my current teams by making sure that the bugs I fight for are worth having a discussion about. Workarounds – do they exist? Impact – what is it and who does it impact? In turn, picking your battles is a method, which will help improve the perception of testers. Instead of others thinking our sole purpose is to slow things down, we can help others understand why things need to slow down and why we actually should care about these issues in the first place. Your social media accounts are the most visible part of your company. Embarrassing complaints there are make-or-break for gathering new customers and keeping up appearances. You get a bug report from a user on Twitter. The user hasn’t crammed clear steps to reproduce and their environment information into 140 characters. You have their frustration, and if you’re lucky, where the error occurred. You need to respond quickly to prove to the world that you care about your users. Now what? 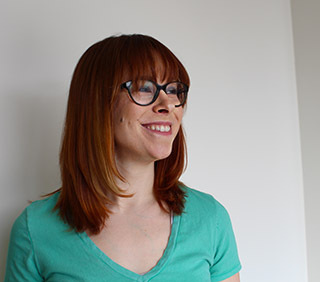 Elizabeth Zagroba is a context-driven software tester at Huge in Brooklyn. She’s tested innovative user interfaces for iOS and Android apps, responsive websites, content management systems, and streaming and on-demand audio. Before Huge, Elizabeth worked on the digital team at a public radio station in Manhattan. I’m thinking about coming on Saturday morning as soon as I delivered my dog to the dog sitter. If someone flies in that early, I’ll be delighted to share a cab from the Airport Arlanda. I am arriving on saturday morning 9:10 in Arlanda. Which time could you be there? Would be glad, to get a ride. How about Sunday evening from Stockholm Central Station? Hey I’m from Bern too and would leave Stockholm City Sunday evening too … How can we get in direct touch? Yep, I’m from Bern. We can talk details via Linked In, Facebook, Xing, phone call or mail. If you can’t someone to share a cab with, the cheap route from Stockholm central, which I’m taking, is by public transport to Åkersberga which is 4-8€ fare, plus a cab from Åkersberga for ca 17€. 1. Buy an “AB” ticket (2 zones) in a machine, via SMS if you have a Swedish operator or in a toll booth kiosk (most expensive). 2 Enter the subway system, Take subway line 14 (“Red”) towards Mörby Centrum, just 3 stops (6minutes) to “Tekniska Högskolan”. 3 At “Tekniska Högskolan”, exit the subway, head up the stairs to street level, and follow signs to where this station is called “Stockholms östra” (right there, at street level), because it’s the end station of a different line (“Roslagsbanan”), which you are now getting on. 4 Get on train 28 towards “Österskär”. The same ticket is valid here but a person checks the tickets on board. This train takes ca 35 minutes to Åkersberga. Trains run every half hour (05 and 35) until just after midnight on Sunday evening. 5 In Åkersberga, get a cab at the station. The fare should be under 20€. Tell the driver the address “Näsvägen 100” if they don’t know the place. It’s just a few kilometers. My work colleague and I are getting a taxi on the Sunday, not 100% sure what time we get in, possibly mid-day depending on flight. If anybody would like to taxi share, let me know! I’ll be landing at Arlanda about 11:20 on Sunday. Let me know if that is reasonably close to yours when you book your flight. I am arriving at Arlanda at 12.05. Happy to share a cab. Do you still have space in yours? We will be landing in Arlanda at 11:20 so happy to meet up when we land. They have said they’ve arranged a fix price for a big taxi for SEK 1080, so this would work out well between us all. What’s the best way to contact you both when we land? what about meeting outside next to the taxi stand? You can reach me on my mobile 0049 173 65 90 760. That sounds like a plan, we can meet you by the stand. I will send you a text message so you have my mobile. Great. How can I reach you, just in case? If there is still room in the taxi I’m in. I think I’m in terminal 1 by the way. Does that match yours by any chance? I have booked a cab for 14:30 at Arlanda Terminal 2 if anyone wants to share. I’m arriving at Arlanda on Monday at 16:30 if anyone wants to cab share. My partner & I are arriving at Arlanda at 17:00 on Sunday 22-May. Would be happy to share a cab. I’ll be arriving at 17.50 – if you’d wait for me, I’d be happy to share a cab with you. I have only hand luggage so it’s short time after landing. H Krystjan, we have checked bags, so it will take us longer than you anyway. So sure– we’ll wait. Meet at the taxi place at Arlanda. I’m arriving at Arlanda on Saturday ~7pm. Would be happy to share a cab. I’m arriving on Sunday at 2pm in Terminal 5. I would be very happy to share a cab with some people. I’ll arrive at 14:40 at Arlanda. If you don’t mind waiting, I’d be glad to share the cab with you. I have booked a taxi to leave the conference on 24th May at 16:00 going to Arlanda Terminal 2, if anyone needs a taxi at that time. I’m arriving Sunday 16:00 at Arlanda Terminal 2. Would be happy to share a cab. Hi Jan! I arrive also at 16:00. Flying AB 8008 from Berlin? Ok cool… We will fly together…. Can I send you my telephone nr. per mail? we also are booked in fly AB 8008 from Berlin. So we could share a big taxi if possible.. ( we also can send our telephone nr. per mail )..
I’m arriving at Bromma airport on Sunday 22nd of May at 15:40 (Flight SN2305). Anyone interested in sharing a cab around that time? I have booked a cab on Sunday for 14:30 at Arlanda terminal 2 if anyone wants to share. I have booked a taxi for Sunday at 17.30 from Arlanda Terminal 2 if anyone else needs to share. Flight BA0780 from London. My flight lands to Arlanda @17.30 from Helsinki no check in luggage – if Ioan you can wait a bit – I’d be interested in sharing the ride!! Plane landed on time – heading now to gate – how’s your taxi ride looking Ioan ? I have booked a taxi from down town Stockholm (from the scandic klara hotel) at 07:30 tomorrow morning (23/05). If there is anybody traveling from the same area I’d be interested to share.